Alive and Young: The X-Men Were Gay!? 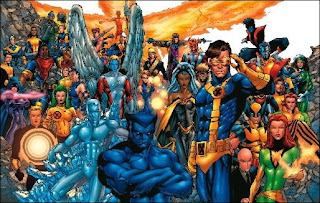 According to some of the writers and directors of the recent X-Men movies, "mutant" was a metaphor for "gay." I've seen the X-Men movies, and I've read the comic books. If the intention was to promote a gay agenda, they missed the mark. Moreover, it seems strange saying this with the story line in the first movie where Magneto was attempting to turn the city of New York into mutants. Were the directors and writers trying to say that a person can be changed into being gay a mutant but one cannot unchange from being gay a mutant? About the only time they were clear on it was with Iceman's family and the "Have you tried not being a mutant?!" line. 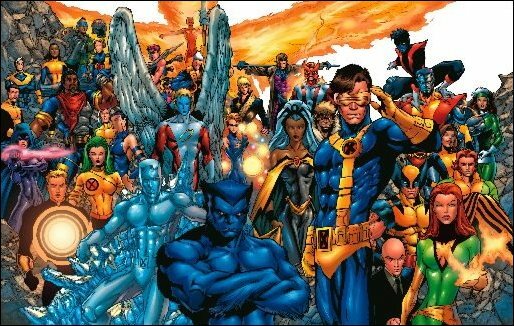 No more questionable than when lazy writers filed the serial numbers off of black vs white conflict from the POV of Hollywood... seeing as how mutants really are different, dangerous and some want to wipe out humanity, I sure wouldn't want to go that way!